Granted this picture was not taken on former Soo Line rails, but it's a fitting tribute to the former Soo Line of yesterday. #2719 is seen at South Itasca (Superior) about reenter WC trackage after turning its train on the wye track and returning to Ladysmith WI. on June 16th 2001. This is the last public excursion to be run over the WC due to a change in policy and the merger with the CN. 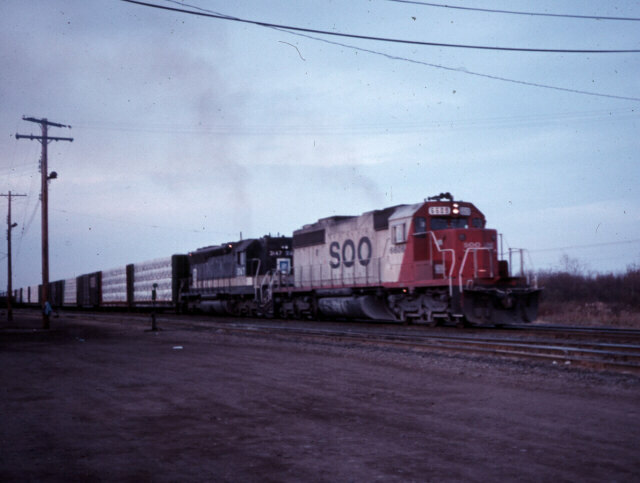 It is ironic that this same engine closed out the era of steam on the Soo over 40 years ago. A Superior bound transfer is getting ready to depart the CP's Rices Point near the waterfront of Duluth. Grain is the main commodity that is shipped in to this yard by the CP, with cement and other bulk products rounding things out. Note the second unit, it is one of the former Milwaukee Rd. 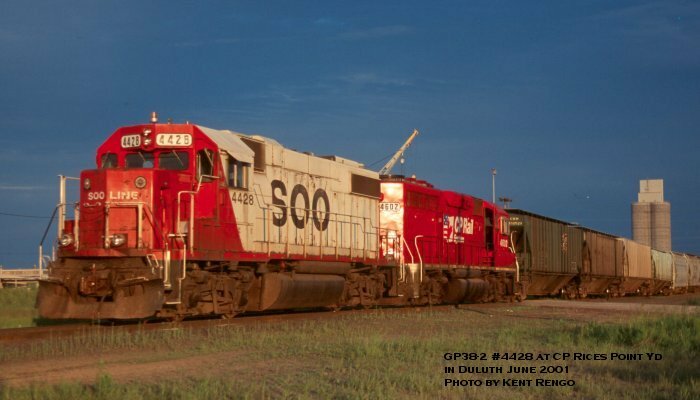 GP40's. July 2001. 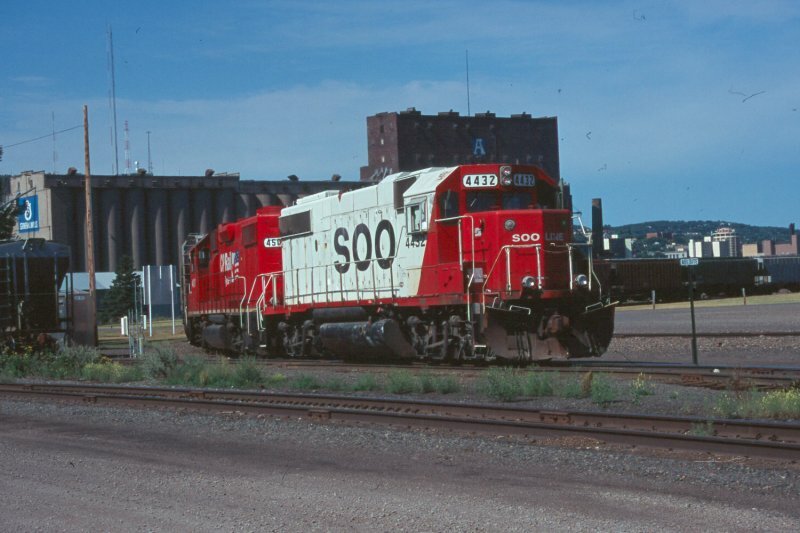 Two GP38-2's switch the Cargill grain elevator in Duluth, MN. 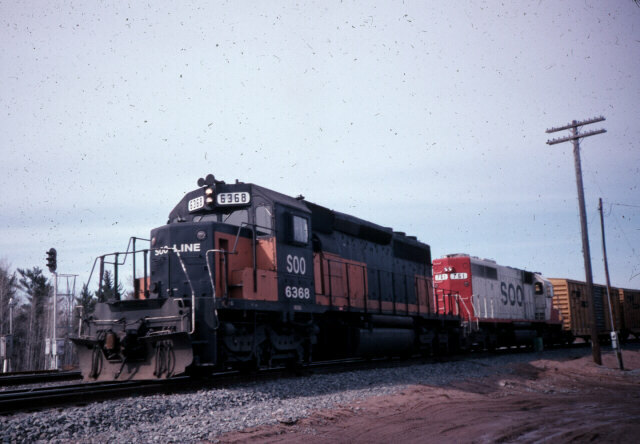 (New) SD60 #6048 awaits her next call to duty at Stinson Yard in Superior. Since the closing and demolition of the roundhouse at 21st Street in Dec. 2000, power will now lay over here during the day. Mid to late afternoon is the best time to photograph the action at Stinson due to the position of the sun during that time of day. July 2001. 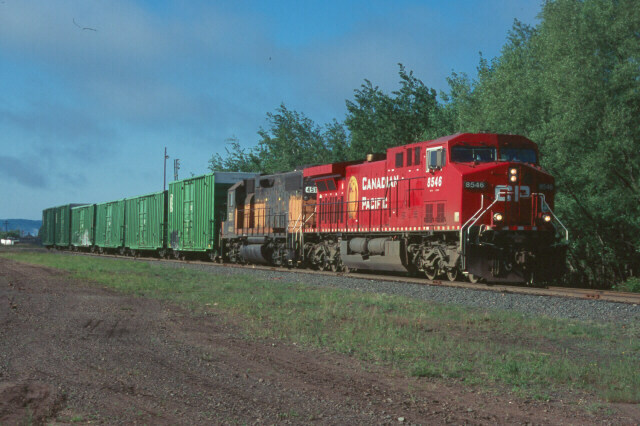 A GP38-2 leads a one car interchange from the UP connection in Superior's East End. 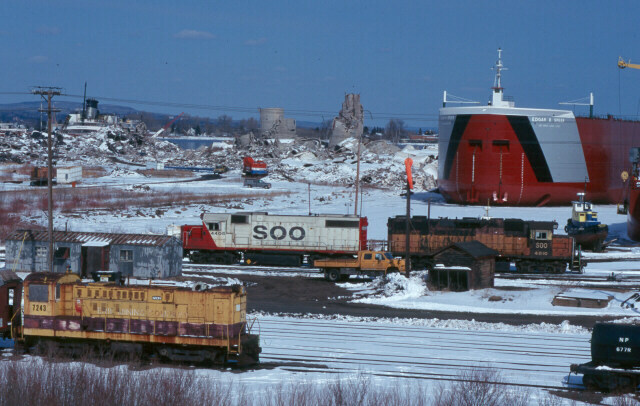 The train is shown on the only remaining trackage in the Twin Ports of the former Duluth South Shore and Atlantic Ry. Which during the early part of the 1900's was a major player in the Twin Ports. 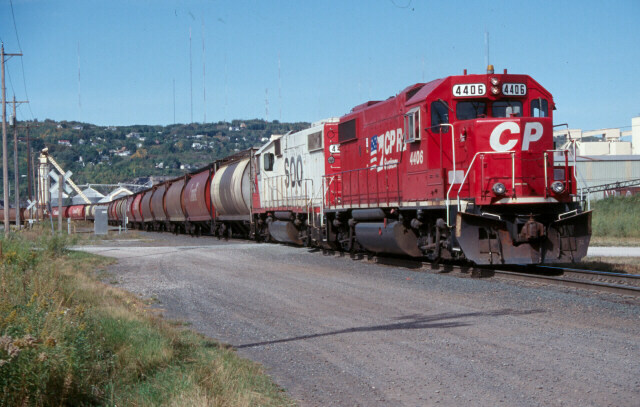 The CP has a small yard in Duluth to handle the grain traffic into town. They usually will keep a power set as seen here stationed to handle the tasks. Since shipping season is not quite started for the CP, things are fairly quiet in this photo. The Erie Mining S12 in the foreground belongs to the Lake Superior Railroad Museum and was the last locomotive produced by Baldwin before they exiting the locomotive market. Photo by Scott Carney. A transfer at CP Rices Point Yd. brings in grain from the fall harvest to be loaded on to boats for export. The fall season for the CP is the busiest with sometimes two CP transfers plus a UP transfer daily using this yard to sort out their cars. Sept 2000. 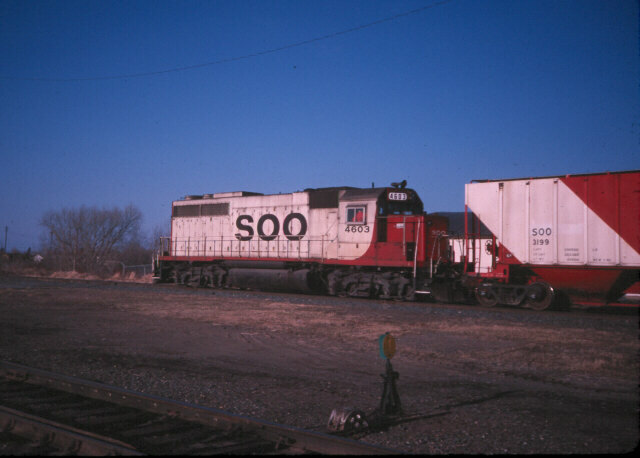 One of the Soo Line's original GP40's pull's a cut of cars across 21st Street in Superior. This was the sight of the original Wisconsin Central yard in Superior. The yard and roundhouse are now consigned to history, having been removed in the past year (2000) Spring 1988. A current shot at the same location as above taken in June 2000 as you can see the trackage is gone. A GE AC4400 is leading former Milwaukee Road GP38-2 with a handful of cars from the BNSF. 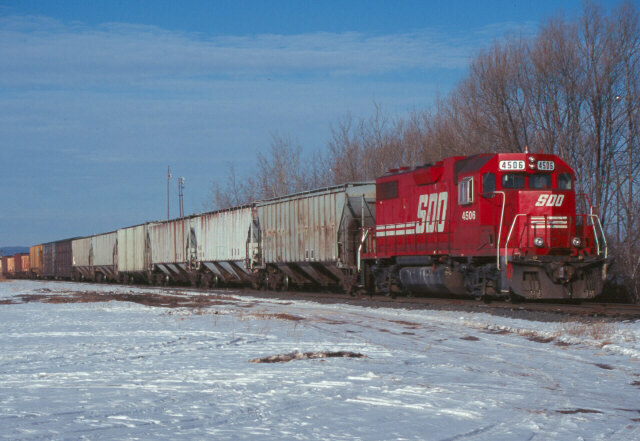 A CP grain train inbound near 58th Street. Power on this train are a couple of AC4400's. This has been the common power seen in the Twin Ports on CP trains into and out of town. Sept 2000. 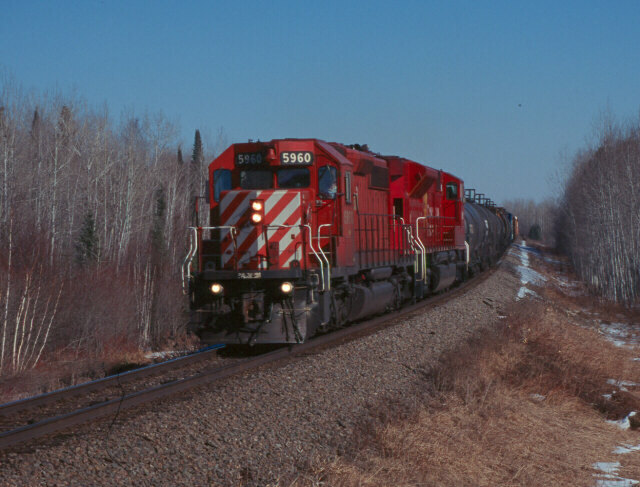 A CP detour train is seen west of Foxburo WI. 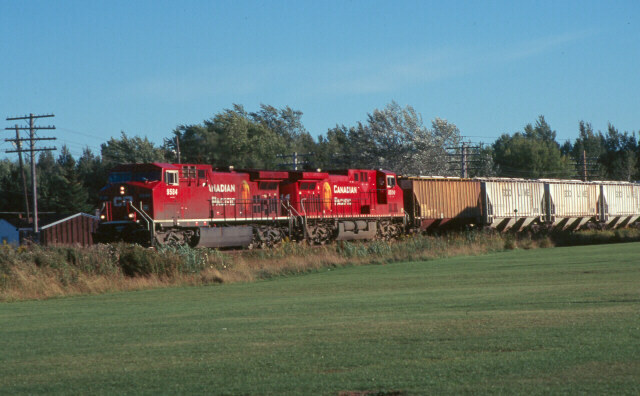 with a SD40-2 and a SD9043MAC trailing. 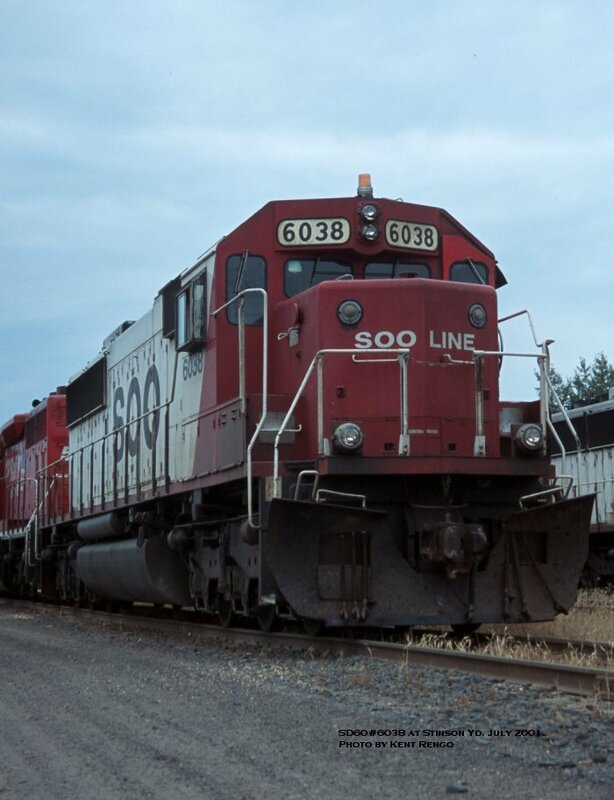 This train was being detoured because of a derailment in Ontario Canada on the CP mainline. March 2000. 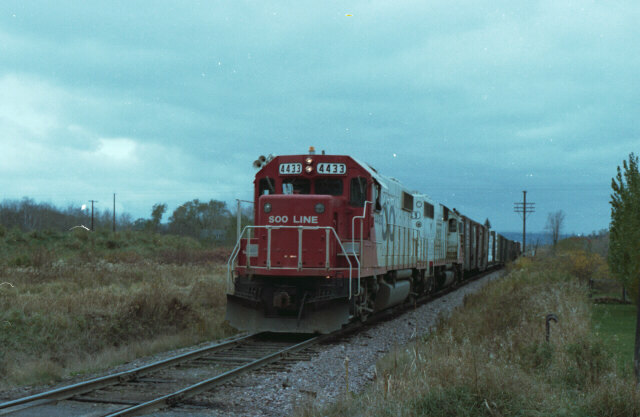 A Soo Line GP38-2 leads a detour train on the CNW East End line near Newtons Crossing in 1982. Photo by Dan Mackey. 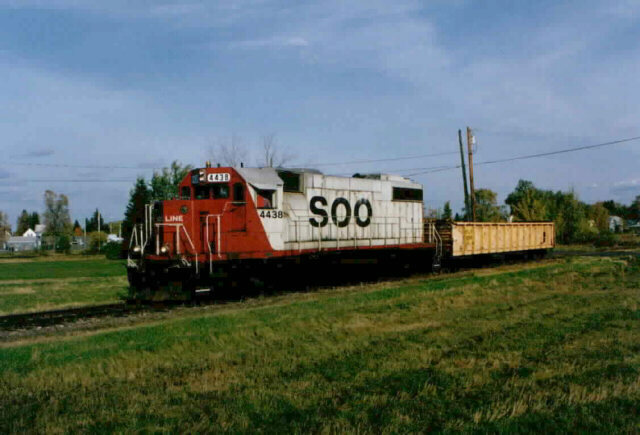 A Soo Line caboose trails behind an outbound train in Superior. 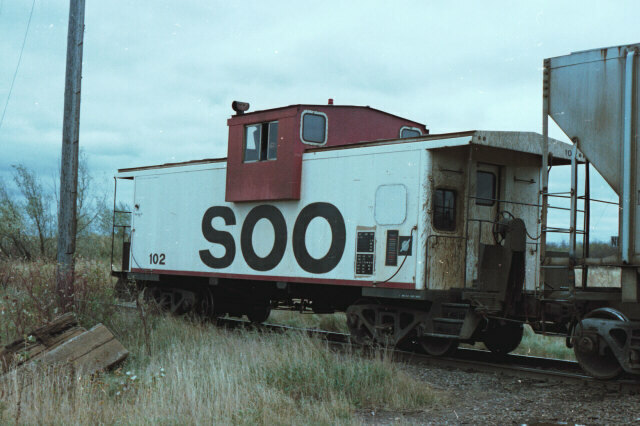 Sights like these were still considered the rule, not the exception in 1982, twenty years later cabooses have all but vanished. 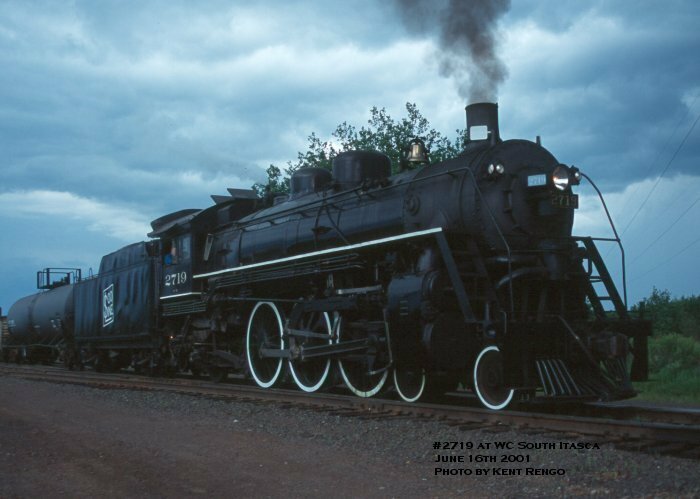 In Duluth, the Lake Superior Railroad Museum in the Fall of 2000 acquired the #1 from the Soo Line (CP) and it is on display. Photo by Dan Mackey.